Mary A. 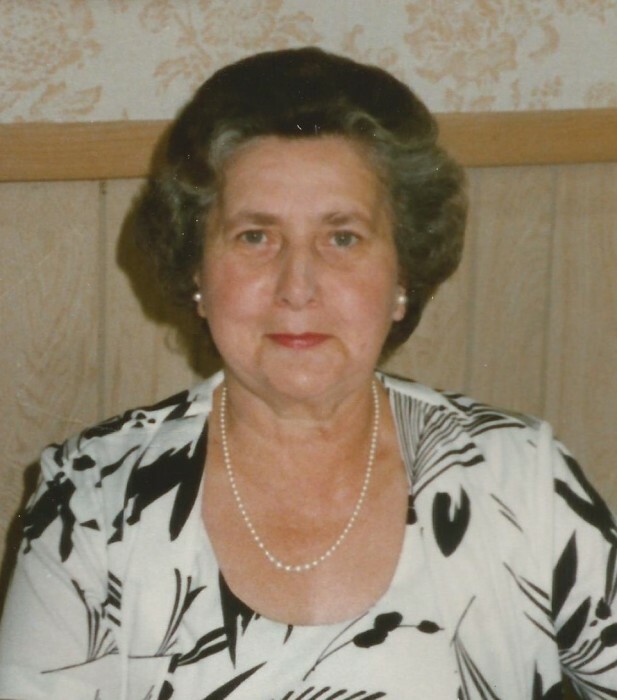 (Miller) Jones, 97, of Fort Plain, New York and formerly of Salisbury, New York, passed away peacefully early Monday morning, March 18, 2019 at St. Mary’s Healthcare in Amsterdam, New York with her two loving children by her side. She was born on January 13, 1922 at her family homestead in Salisbury, New York and was the daughter of Richard and Esther (McCarthy) Miller. Mary attended Dolgeville Central School and was a graduate with the Class of 1939. On July 5, 1947, she was united in marriage to Raymond F. Jones at St. Bridget’s Catholic Church in Salisbury Center, New York. Mr. Jones passed away on May 3, 1978. Mary worked as an office manager for the Burgess Fuel & Supply Company, Inc. and C.J. Construction Company for 41 years until her retirement. For 13 years she was the School Tax Collector for St. Johnsville Central School. Her family, her home and her many friendships were her life. She enjoyed flower gardening, traveling, embroidery and baking her famous Christmas cookies. Mary was a parishioner of Our Lady of Hope (Formerly St. James Church) in Fort Plain, New York. She is survived by her beloved children; a daughter, Barbara J. Jones of Concord, New Hampshire and a son, Raymond F. Jones and his partner, Robert H. Albach of Webster, New York; a sister-in-law, Agnes Miller of Little Falls, NY; several nieces, nephews; and her granddogs, Gabby of Concord, New Hampshire and Nicky of Webster, New York. Mary was predeceased by an infant son, Kenneth F. Jones; four brothers, John Miller, Bernard Miller, Richard Miller, and James Miller; one sister, Margaret Bilinski; and a special canine companion, Scotty. Calling hours will be held on Friday, March 29, 2019 from 4 p.m. to 7 p.m. at Roberts Funeral Home, 3 E. Faville Avenue, Dolgeville, New York. A Mass of Christian Burial will be held on Saturday, March 30, 2019, at 11:00 , at St. Joseph’s Catholic Church, 31 N. Helmer Avenue, Dolgeville, New York. Burial will take place in the spring in St. Bridget’s Cemetery. In lieu of flowers, please consider a memorial contribution to a charity of your choice in memory of Mary. To leave a message of sympathy for the Jones family, please visit www.robertsfuneralcare.com and sign the guest book.